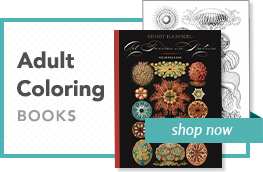 Published with Scientific American, Inc. Some are fun; some are diabolically clever—all 48 of the games in this deck require a love of a challenge and creative thinking. The fronts of the cards will test your mathematical ability, draw on all your reasoning skills, and offer you the fun of solving the seemingly unsolvable. The backs of the cards present the answers, from simple to complex. 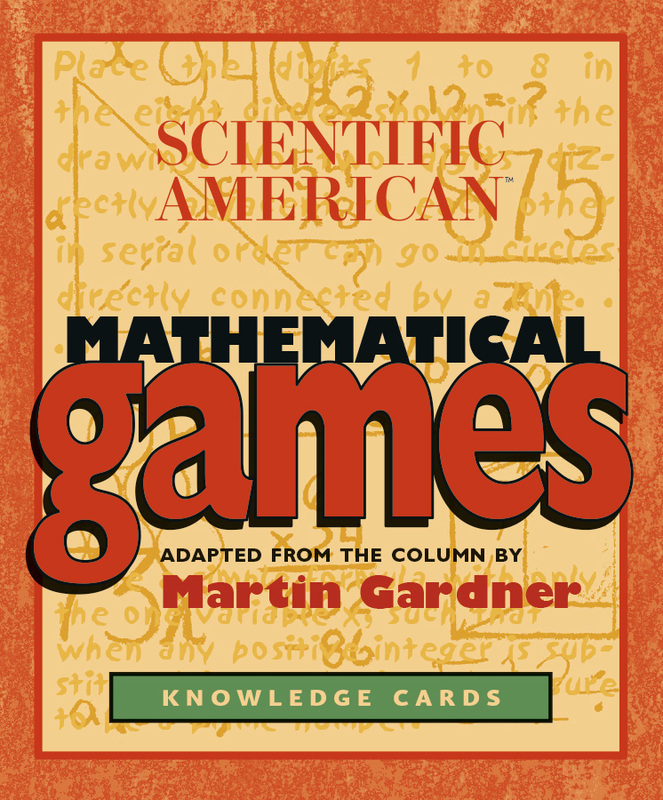 In 1956 Martin Gardner (1914–2010) created the Mathematical Games column for Scientific American. Before joining the magazine, he was a reporter for the Tulsa Tribune, a staff writer with the University of Chicago Press Relations Department, and, after World War II, a freelance writer. 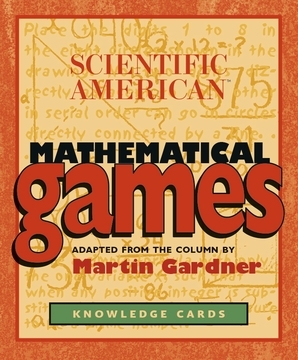 The author of numerous mathematical books, Gardner also wrote books about myriad topics; among the latter works are Urantia: The Great Cult Mystery; Codes, Ciphers and Secret Writing; and Fads and Fallacies in the Name of Science.